GettyWhere will the Singapore summit lead the US? 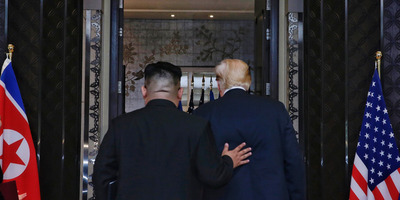 President Donald Trump’s joint statement with North Korean leader Kim Jong Un on Tuesday provided few specifics and no binding commitments, but it most likely set in motion a series of events that could unseat the US as the dominant world power. Trump, going above and beyond the statement on paper, promised to halt joint military exercises with South Korea. For the US, its 30,000 or so troops in South Korea represent a foothold on the Asian mainland and a major check on China’s growing global ambitions. South Korea and the US forces themselves were apparently shocked by the news, but both North Korea and China seized on this concession. To China, the agreement sounded like one it had been pushing all along, a “suspension for suspension,” in which the US stops military drills with South Korea in exchange for North Korea halting its missile and nuclear tests. 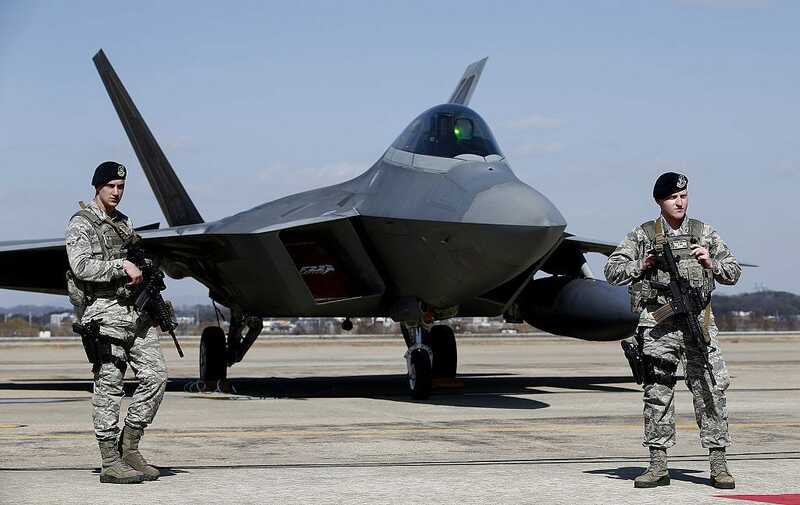 The US had long resisted calls from North Korea and China for dual suspension, saying the bilateral, planned, and transparent military exercises were legal while North Korea’s nuclear program was not. If North Korea’s illegal nuclear program forced the US military to stop training with its ally, then it sends a powerful message to leaders everywhere: The US can be blackmailed with nukes. Jeon Heon-Kyun-Pool/Getty ImagesUS troops at the Osan Air Base in 2016 in Pyeongtaek, South Korea. Without military drills, the massive installation of troops will wither. Already, North Korea has criticised the US and South Korea’s military exercises, saying they’re not helpful for peace talks. Trump, seemingly unprompted, has long wanted to withdraw the US from South Korea, and now he may have found a reason. If the US and North Korea – or North Korea and South Korea – normalize relations, that undercuts the stated rationale for having US forces on the peninsula. Why should the US station 30,000 troops in Korea if Korea is at peace? One reason could be to rein in China. China is set to overtake the US as the world’s dominant power within the coming decades. As China embraces some capitalism and uses strong-arm tactics to become a technological power while modernising the world’s biggest armed forces, it falls on the US to reassure its allies in Asia and around the world that international order will stand up to Chinese hegemony. The US military in Asia remains vital to that task. China’s rise has been a long time coming. The US military, even with its massive forces in Japan and Korea, already strains to contain it. But losing the foothold in South Korea could be the straw that breaks the camel’s back. “The US-DPRK summit – the first in history – was an epochal event of great significance in overcoming decades of tensions and hostilities between the two countries and for the opening up of a new future,” Trump and Kim’s joint statement said. But the new epoch envisioned here by Trump and Kim may be one in which the US loses its grip on Asia, and then the world, and the new future will most likely be ruled from Beijing, not Washington.